Posted on April 18, 2017 April 18, 2017 by Alison Knott.Categories NewsTags Canada, Canadian, community, Dalhousie University, East Coast, habourfront, Halifax, Happiness Bar, Nova Scotia, tours, WordCamp, WordCamp HalifaxLeave a comment on WordCamp Coming to Halifax, Nova Scotia! 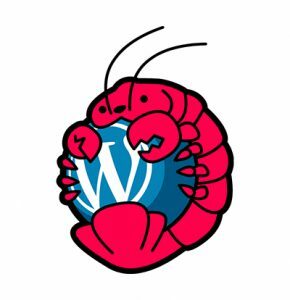 Meet ‘Wabster’, WordCamp Halifax’s official wapuu! This May marks a very special month for people in Atlantic Canada. Not only will the first signs of spring appear in the area (finally), but a new conference will be popping up as well. WordCamp Halifax is happening on May 27th at Marion McCain Building at Dalhousie University. This will be the first WordCamp in Canada East of Montreal, making it the web-related event of the season for Maritimers. Halifax is best known for its friendly community and beautiful harbour. Take in cafes, beer gardens, the Citadel Hill, a farmers market and more pubs than you can count! May is a lovely time of year on the peninsula with lots of sunshine and occasional shower. Be sure to check out the newly built Central Library downtown – a spectacular architectural feat. Spend the whole week in Halifax to take road trips to other beautiful parts of the province: wine tours, U-picks and quaint fishing villages can all be found within a few hours drive away from the capital. WordCamp has affordable accommodations if you want to stay close to the venue. More information can be found here. We can’t wait to see everyone this May, so nab a ticket. With a limited seating of 185, you’ll have to grab one before they’re gone!